Tacos are probably one of the messiest foods to eat; looking elegant while doing so is a virtual impossibility. But the most delicious grub is unkempt. I’d argue, despite the machinations of chefs and food stylists with tweezers, food isn’t really supposed to be neat. But the crumbling untidy taco spilling its tasty contents, incredibly, still isn’t that well-known or popular in the UK. This needs to change. Here is my guide for how to make them at home. 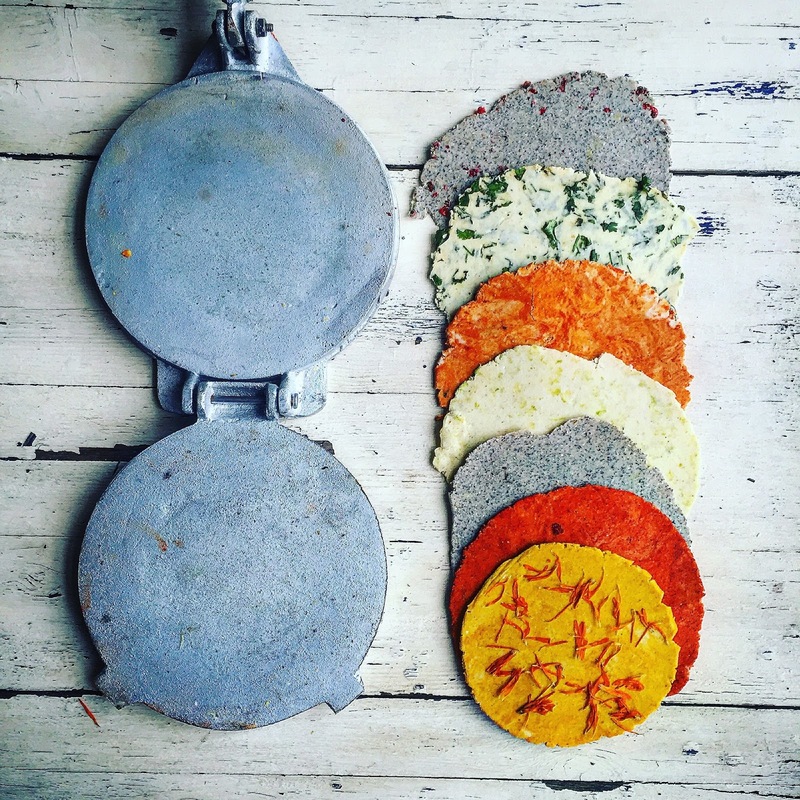 I make both blue and yellow corn tortillas and add ‘inclusions’, aka flavour them with herbs and powders to have a pretty palette of colours. In the picture above, I’ve added marigold petals, achiote paste, lime zest, paprika and pink peppercorns. This recipe makes 3 or 4 tacos so scale up for how many you want. 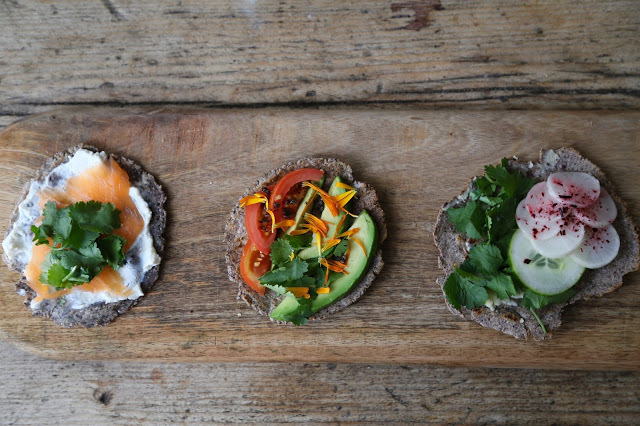 Remember these are small home made tacos, not large shop bought ones. 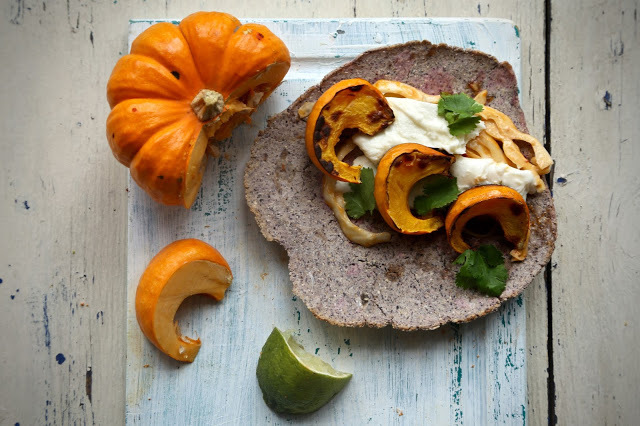 It’s best if you have a tortilla press but otherwise you can use a rolling pin. Mix the masa with the water, cornflour, lard and salt. Form into balls the size of golf balls, the dough should not be too sticky or too dry. If using a tortilla press then use a ziplock plastic bag split in two to press the tortilla ball flat. 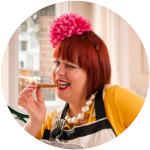 If using a rolling pin, the way to get perfect circles is to roll from the centre upwards then do a quarter turn, keep doing this until you have turned the dough all the way around 360º. (This works for pastry too.) It’s easy and kind of magical the way you end up with a circle. Your finalised tortilla should be about 5mm thick. Now cook it on a heavyweight flat frying pan on a medium heat until the edges start to lift off when you try to turn it. You will end up turning it twice. Then stack all your tortillas in a non-fluffy tea towel (or a tortilla warmer if you have one) to keep them warm while you are cooking them. 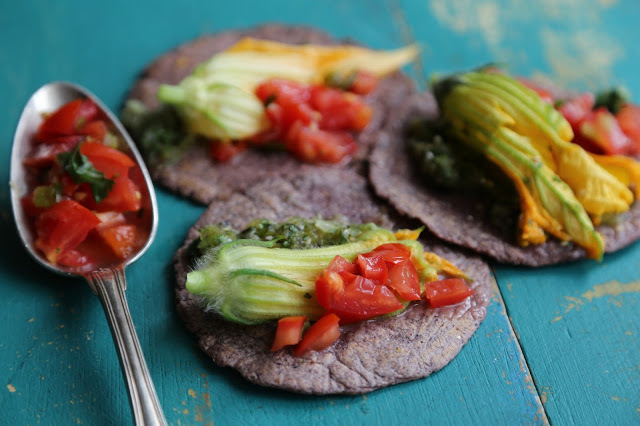 For crispy hard shell tacos, try this Rachel Khoo trick. For puffy crispy tacos, deep fry them. Now to turn the tortillas into tacos you have the choice of a variety of fillings. This is a collaborative meal which you can build at the table. You can have a pile of steaming tortillas and put all the toppings in bowls and let people make their own combinations by sprinkling a variety of the following fillings down the centre of each taco. As I don’t eat or cook meat I do fish and vegetarian tacos. Recipe for fish tacos here. You can also use mozzarella strips, torn off a ball of mozzarella or Oaxacan style cheese such as the one Gringa Dairy makes. It’s pumpkin season so try using pumpkin slices. Don’t use the large orange Jack O’Lantern pumpkins that the supermarkets mostly stock, these aren’t good eating, being watery and stringy. 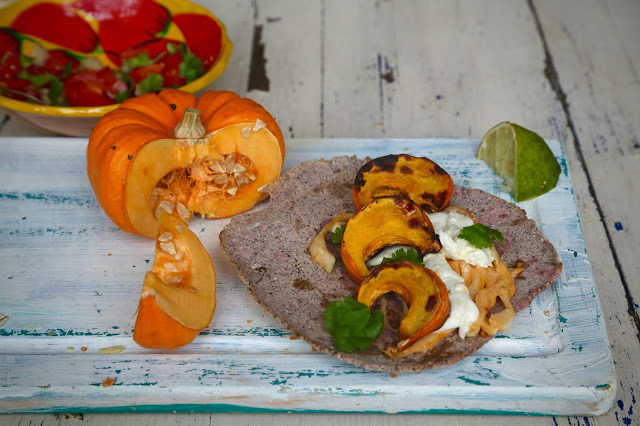 Try using butternut squash, munchkin pumpkins, acorn squash or any of the more interesting varieties. These are dense, sweet and nutty tasting. You can spice up the pumpkins with a little sweet smoked paprika. In the recipe photographed above, I used slices of munchkin pumpkin, grilled slowly either on a bbq, under a grill or placed in the oven at 180ºc for 15 minutes until soft inside. I use finely sliced white cabbage tossed in chipotle mayonnaise (recipe below), which is delicious. Add in some finely shredded carrot, some finely cut red onion strips, a big squeeze of lime juice and you have Mexican ‘slaw. You could also try making chipotle en adobo sauce (my recipe), which is a deeply aromatic but not too hot chilli sauce (I’m irritated by the emphasis on heat when it comes to chillies. What I want is flavour and different chillies have very different tastes.). It’s really easy to make I promise. Mix all the ingredients together. Keeps for at least a couple of weeks in the fridge. You’ll find you are squirting it on everything! You can buy dried chillies in most supermarkets now or order them online. The usual one to use is fresh coriander but why not experiment with other herbs? 2014 Amalaya, Torrontes-Riesling: £8.95p from Argentina. Quite acidic and dry, good with spicy foods, stands up to chilli and curry. 2012 Casas del Bosque Syrah Gran Reserva £12.95 a little more expensive but anything from this winemaker is worth trying, he has a subtle take on oakiness, that isn’t too overwhelming. In terms of Mexican food, this would be lovely with a chocolate mole dish. These look so colourful so fantastically tasty. Love it. I'm sure they're delicious! I love them. And I want them! Really great recipes. Original, and authentic. Just made the tacos following your recipe for the tortillas. They came out fabulous 🙂 Thanks!